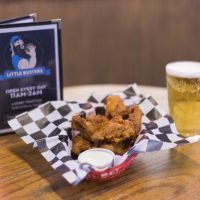 30 years ago, The Original Buster opened a little bar next to Pizza John’s here in downtown Derby Kansas. One day he decided to move to a bigger location here at 457 N Baltimore, still in the heart of downtown Derby. After a successful period, Buster handed the rains over to Paul and Debbi Rather to continue the Derby traditions of the Best Burgers and Coldest Beer in Derby Kansas! 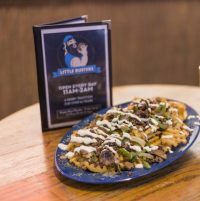 On November 4th, 2016 Kyle, a long time bartender and manger in the Wichita area and Kelly, a Derby High graduate and retired Boeing/Spirit manager came in, updated the landmark bar and brought life back into Little Busters. 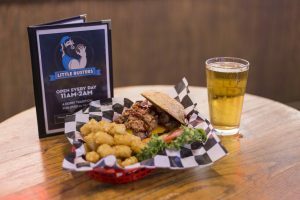 Keeping up the Derby Tradition of Best Burgers and Coldest Beer in Town, with 16 new TVs and state of the art Sound System, the New Little Busters is the place to be in Derby for all local and national sports action. 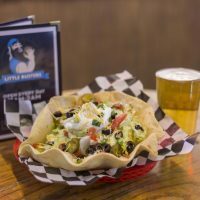 We have great daily drink and food specials and a half price happy hour Monday-Friday from 3-6. This has been and always will be the best place for family, friends, and the Derby community to enjoy good time with one another.